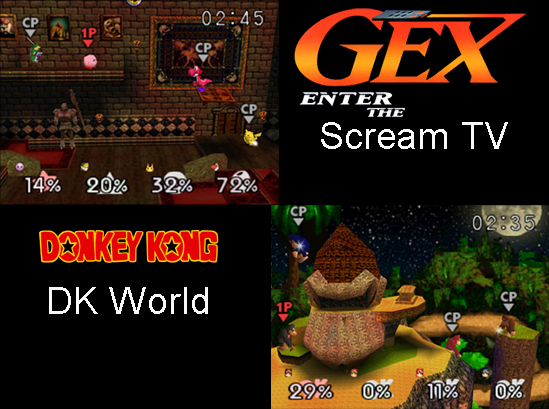 Description : Battle on a Donkey Kong tribute level and a level based on Gex Enter the Gecko Scream TV. Ported levels using lemmy's plug in and remade them some using blender. Additional Credits : SubDrag for creating the editor. Mosky2000 for making the DKC 2 music!